Welcome to Aspose.Slides for Java! Aspose.Slides for Java is a Microsoft PowerPoint® management API that enables Java applications to read and write PowerPoint® documents without Microsoft PowerPoint®. Aspose.Slides for Java is the first and only component that provides the functionality to manage PowerPoint® documents. Aspose.Slides for Java provides a lot of key features such as managing text, shapes, tables & animations, adding audio & video to slides, previewing slides, exporting slides to SVG, PDF and other formats. Aspose.Email for Java is a Java API that enables Java applications to read and write Microsoft Outlook® documents without using Microsoft Outlook®. Aspose.Email for Java provides a number of key features such as managing recipients, subject, body, attachments in Microsoft Outlook® MSG documents and reading contacts, messages and folder information from Microsoft Outlook® PST documents. It can also be used to create, modify and convert email messages in EML, MSG and MHT formats. Aspose.OCR for Java is an optical character API that allows developers to add OCR functionality to their Java applications without requiring any additional tool or API. Aspose.OCR for Java allows extracting text from images having different fonts and styles - saving the time and effort involved in developing an OCR solution from scratch. Aspose.OCR for Java comes with fully featured demos and working examples written in Java. The demos help developers learn about the component's features and get up and running quickly. Using Aspose.OCR for Java, developers can extract text and related information such as font, style & location of the text from specific parts of an image. This feature allows to perform the OCR operation quickly on document scans that follow the similar structure. Aspose.CAD for Java allows developers to convert AutoCAD DWG, DWF and DXF files to PDF and Raster images. 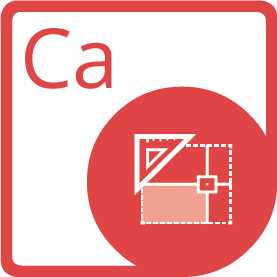 It is a native API and does not require AutoCAD or any software to be installed. Aspose.HTML for Java is an advanced HTML manipulation API built to perform a wide range of HTML manipulation tasks directly within the Java applications. The API also provides a high fidelity rendering engine for fixed-layout formats such as PDF & XPS, and a number of raster image formats. Aspose.3D for Java API is built to create, edit, manipulate and save 3D formats. It empowers Java applications to connect with 3D documents without installing any software package on the computer. Aspose.3D for Java API assist developers to model and create massive worlds in games, superb scenes for design visualization, and engage virtual reality experiences. The API is user friendly and saves time and money than creating a similar solution from scratch. Aspose.EPS for Java is a Java API built to allow developers to convert PS/EPS files into PDF documents. Aspose.EPS is an API that allows converting of PostScript (.ps) and Encapsulated PostScript (.eps) files to PDF documents. This API is implemented to be used in Java Applications and provides high fidelity converting PostScript and Encapsulated PostScript files to PDF format. Aspose.XPS is a Java API built to allow developers to create, edit and save existing as well as new XPS documents. It provides extensive manipulation capabilities such as reading, parsing and rendering XPS documents within any Java based application.